A recently-filed lawsuit by several plaintiffs against the Fulton County (Georgia) Board of Tax Assessors again raises questions about whether close relationships between professional sport entertainment corporations are proper, but will probably fail to achieve much more than furthering that conversation. On Tuesday, Oct. 17, Fayetteville, Ga., attorney Wayne Kendall filed the suit in the Fulton County Superior Court on behalf of his six clients. 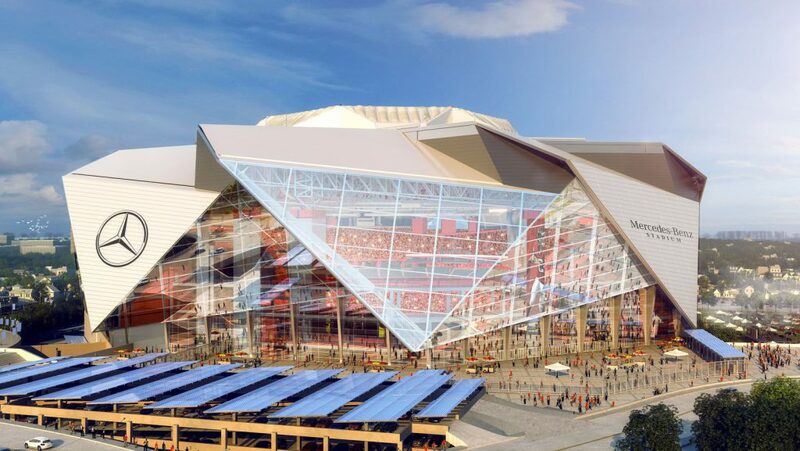 According to Dale Russell of Fox5 Atlanta, the suit alleges that the board failed to discharge its duties by not collecting property taxes that the Atlanta Falcons should be paying on the new Mercedes-Benz Stadium. In speaking with Russell, Kendall went as far as to say that the language of the agreement between the Falcons and the Georgia World Congress Center Authority, a government entity that administers the public event spaces in Atlanta, teeters on being fraudulent. In Kendall’s opinion, the lease was written intentionally to allow the Falcons to avoid paying what he figures would be $26 million in property taxes. Kendall is probably correct in his view that the agreement was written to help the Falcons avoid paying property taxes, but whether that makes the agreement a long-term lease that would compel the Falcons to surrender the amount that he has recommended or any amount in property taxes in the eyes of the court could be another matter. The main thrust of Kendall’s argument seems to be that under the agreement, the parties operate as partners in a long-term lease. As the anchor tenant of Mercedes-Benz Stadium, the Falcons control the revenues from parking, retail and restaurant spaces on the complex grounds. It seems appropriate that the Falcons should control those aspects of the space, as they fronted most of the cash necessary to construct the facility. Of the total $1.6 billion cost, the Falcons contributed slightly more than half, $850 million. The taxpayer contribution, in comparison, was quite minimal at just $200 million in bonds backed by Atlanta’s hotel taxes according to Tim Tucker of the Atlanta Journal Constitution. According to an Associated Press article in 2013 announcing that a deal for the stadium’s construction had been reached, the Falcons pay the Georgia World Congress Center Authority an annual sum of $2.5 million for a 30-year period for the use of the facility. Obviously, that represents a tremendous savings over the figure of $26 million that Kendall has floated, which would be altogether separate and in addition to the payment to the stadium authority. As far as how the relationship between the Falcons and the stadium authority operates, it is a de facto long-term lease. Kendall and his plaintiffs are correct. That may have little relevance as this case proceeds, however. The question before the court isn’t whether the stadium authority wrote the agreement to help the Falcons avoid paying property taxes. The question isn’t even whether or not the agreement is in effect a long-term lease as opposed to a limited-use arrangement. The question is whether or not the Fulton County Board of Tax Assessors appropriately discharged their duties. As the facility is owned by the stadium authority, and government holdings are exempt from property taxes, it’s difficult to see how Kendall can make a case that the board neglected its duty by not levying a property tax on the facility. Additionally, the suit is somewhat short-sighted. In the Fox5 interview, Kendall estimates that over half of the property tax amount would go to Atlanta’s public schools. There’s little debate that the city’s schools could use those funds. In 2015, Marlon A. Walker of the Journal wrote about cuts to support and teaching staff by the district. Those cuts came just a few years after a widespread cheating scandal that involved nearly 200 administrators and teachers in the city. It appears that the motivation to change students’ answers on tests was to keep/secure funding. Putting out the spin through the media that the Falcons are “taking dollars away from schoolkids” is an easy way to win over public sentiment regarding the suit, but this trial won’t be held in the court of public opinion. It will be held in the superior court, and any following courts upon possible appeals. Additionally, that narrative ignores all the potential dollars that will be headed toward Atlanta’s public schools through taxes levied on activity at Mercedes-Benz Stadium. After the bonds are re-paid by the city’s hotel taxes, the rest of those dollars will be new revenue for the city, including the schools. Taxes placed on transactions involving food, merchandise and travel around Mercedes-Benz Stadium for all events, including Atlanta United FC matches, will also benefit the city and therefore the schools. It’s true that the property tax revenue for the city and its schools would be in addition to those taxes. Those tax revenues may not even be on par with, much less cover for the absence of, the $26 million that Kendall estimates. They might not exist without the Falcons, however. Whether hundreds of thousands of people would flock to the stadium for FC matches, one-off sporting events and concerts alone is debatable if not doubtful. The Falcons aren’t miserly with their revenues either. The Falcons boast the largest owner-funded philanthropic foundation in the NFL, making over $16 million worth of grant donations to nonprofits in the state on an annual basis. Several of those initiatives benefit Atlanta’s school kids. Should the Falcons be paying property taxes? Probably. Will the way the agreement between the stadium authority and the Falcons was written protect them from doing so despite this legal challenge? Probably. Does that make the Falcons dastardly villains who are defrauding the taxpayers? That question isn’t so simple to provide an answer for.